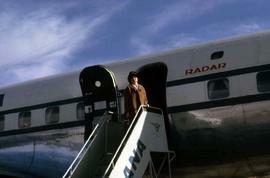 Colour Kodachrome 35mm slide depicts Phyliss standing on the steps leading to a plane. On the plane the word "radar" is written in red. 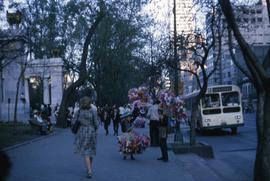 Colour Kodachrome 35mm slide depicts an unknown woman holding several balloons by a string.